Here is the box it comes it..how cute is the floral design! How gorgeous is this Gift Set!? "What To Get For Your Mom On Mother's Day?" is a tough question when considering how important a Mother figure is in your life. 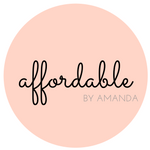 There's the easy way--grabbing a gift card to her favorite restaurant or clothing store--or there's a way to pamper her with tons of beauty items! 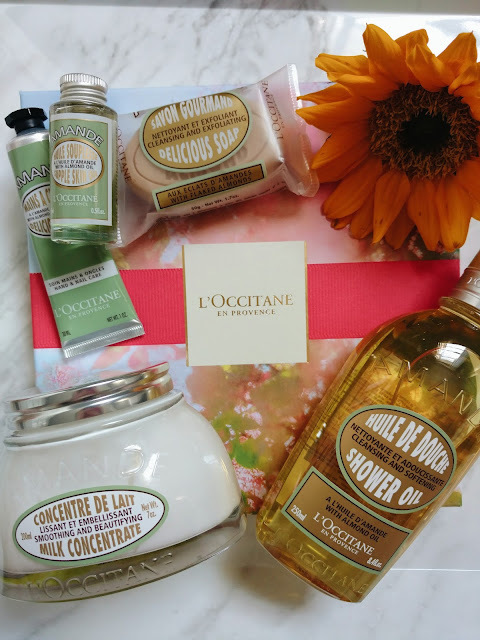 I've partnered with L'Occitane (which happens to be one of my Mom's favorite places to buy hand cream from!) to share with you a few heavenly options for your Mom this year! As we approach Mother's Day, I want to share a few important beauty lessons my Mom passed down to me over the years. She is a lover of applying moisturizer and never forgets to lather thick creams onto her face before going to bed each night! This must be her secret to amazing skin, haha! In comparison to me, the beauty fanatic, my Mom is soo much more simplistic. Seriously, she never has to leave the house with an ounce of makeup on and she always looks amazing! I am so glad she feels confident in herself to not have to worry about applying layers of makeup every day. She pulls off the "swipe of mascara and go" approach. One more beauty ritual she has kept over the years is NEVER leave the house without some bold peachy lipstick. I'm a huge fan of gift sets. Why buy just one item when you can get a few more thrown in the mix for only a few more bucks? The Decadent Almond Gift Set has a value of over $100 and is on sale right now for just $74. The beauty of this gift set is that the items are packaged in a floral printed box that makes presentation a breeze! I am so thankful for my Mom..she is the best lady I know and deserves this gift set to keep moisturizing her skin on a regular basis! Give the special women in your life a beauty kit like this one so she can feel the love. 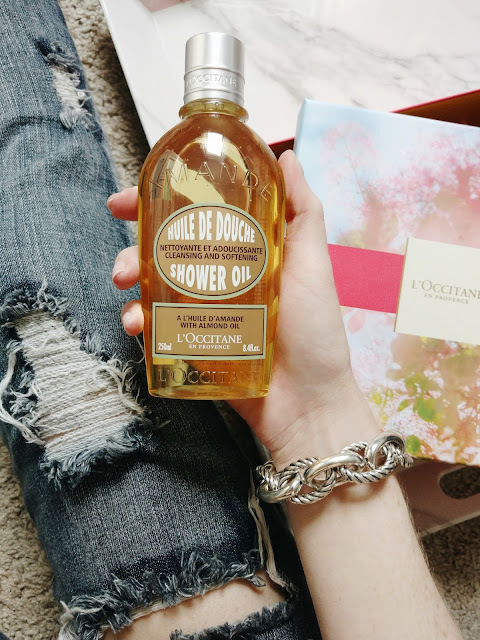 Thank you L'Occitane for partnering with me on this post! All opinions are my own.